Plumbing Sandringham Mt Eden. Plumbers servicing central Auckland suburbs. Mt Eden, Epsom, Kingsland. Tebbutt Plumbing Ltd.
Tebbutt Plumbing prides itself on quality of service, honesty, reliability and a friendly approach and work ethic. 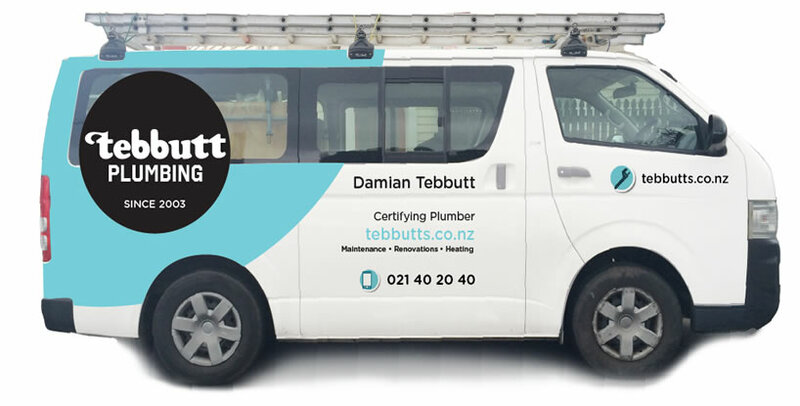 Damian Tebbutt founded Tebbutt Plumbing in 2003 together with his wife, Johanna. Damian is a registered Certifying Plumber and Drainlayer with over 20 years experience in the plumbing trade. He and his team can assist you with all forms of maintenance plumbing (residential and commercial) and plumbing for home renovations. Johanna is able to assist you with your administrative and accounts queries. We cover a wide area within Auckland city, including but not limited to plumbing services in: Sandringham and Mt Albert, Mt Eden, Epsom, Kingsland, Grey Lynn, Westmere, Onehunga, New Lynn, City & Newton, Newmarket, Mangere, Ellerslie, Remuera, St Heliers, Waterview, Manukau, Henderson and more. We're now offering plumbing services in Pakuranga, Mt Wellington, and Botany Downs. Your friendly plumber for residential and commercial maintenance plumbing and plumbing for home renovations.